Sussex Police is the service responsible for policing the county of Sussex, keeping a population of over 1.6 million residents safe. 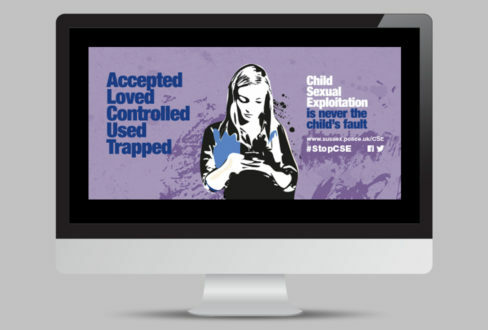 Sussex Police required an agency to design and produce a child sexual exploitation awareness campaign targeting potential young victims throughout the county who might need help. The project was to be rolled out as both an online social media campaign and on display panels across all south east transport links. It was a challenging brief. The campaign needed to make an impact on an audience that didn’t believe the subject had anything to do with them. Ingenious really got to grips with the brief, producing a campaign that was emotionally intelligent, creatively interesting and solidly based on our customer insight. Ingenious worked with Sussex Police on a very wide range of material, centered on creating clear, impactful communication. 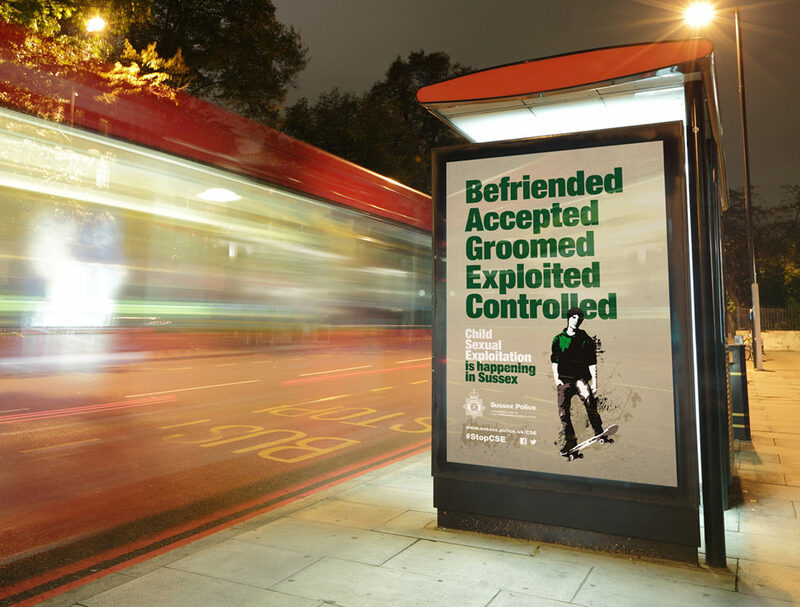 The subject matter meant that it was critical to work closely with Sussex Police to get across delicate campaign messages in a respectful manner. This required a process of consistent, open dialogue with the client, overseen closely by an Ingenious director to ensure that any confidential material was treated correctly and in line with Sussex Police’s processes. The outcome was a highly successful social media campaign and display boards across the south east travel network and was recognised as being so effective that it was soon extended across the Avon and Somerset region.